Anyone who has hunted for fountain pens has sifted through many Arnold Fountain Pens. They are very plentiful, and more often than not, in very poor condition. Most have not held up well over the years, primarily due to low quality original parts. Thus, the collectibility is very low and most go unrestored. These pen/pencil combinations are really no exception, though not without some charm. I was sifting through a plastic bag of old pens that a local friend had given me as parts and these two jumped out at me due to their bright colors. I saw they were Arnold’s and had low expectations, but was pleasantly surprised by the condition of the plating and plastic. Getting the sections out of the barrel was no easy task as they had been glued in and they are so small that there was not much to grip to. Finally, with time and heat, they came apart with no damage to the plastic barrel. Below are the two combos after I took the sections out. 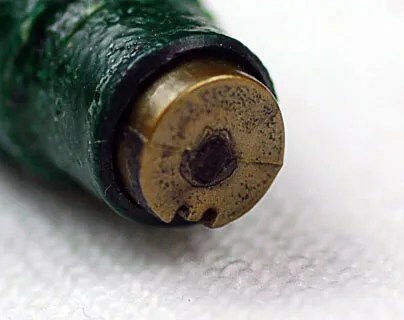 The blue pen had the old sac caked to the inside of the barrel and the green pen was clean – the old sac simply falling out. Thus, I believe the blue pen had been used and the green was void of any ink remnants. Both jbars were still in place and I did not remove them as I have no replacement bars this small. My next task was the section/feed/nib units. 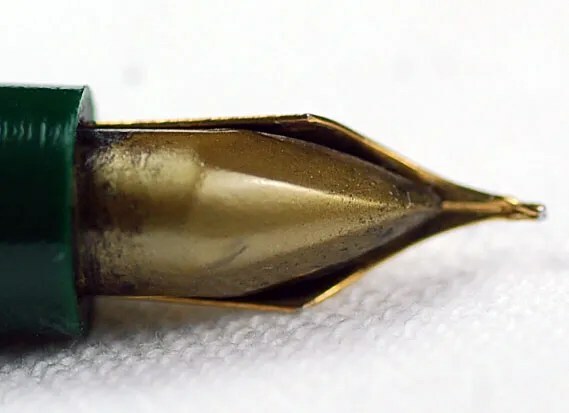 These pens are very small and the nib units are tightly packed and I reached the decision that to attempt to knock them out would be tempting breakage. So, I simply ran each through my ultrasonic cleaner. Even doing this removed a bit of the plating on the blue combo nib. An interesting feed is shown below, from the green combo. The blue is a standard black feed, but the green pen has a gold feed (it appears to be hard rubber). Photos are of both ends of the feed. Fortunately, no ink ever touched this combo, and the gold colored feed survived. Due to the pencil being on the opposite end of the pen, the sac is an abbreviated 7/8 inches long and will require constant refilling if used. 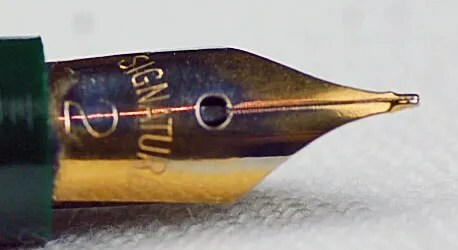 The Signature nib is of the cheap gold filled variety. Below are the finished products. The clips, bands, levers, and pencil cones are all light gold filled on the green combo, and silver on the blue. They measure 4 5/8 inches closed, and 4 7/8 inches posted. 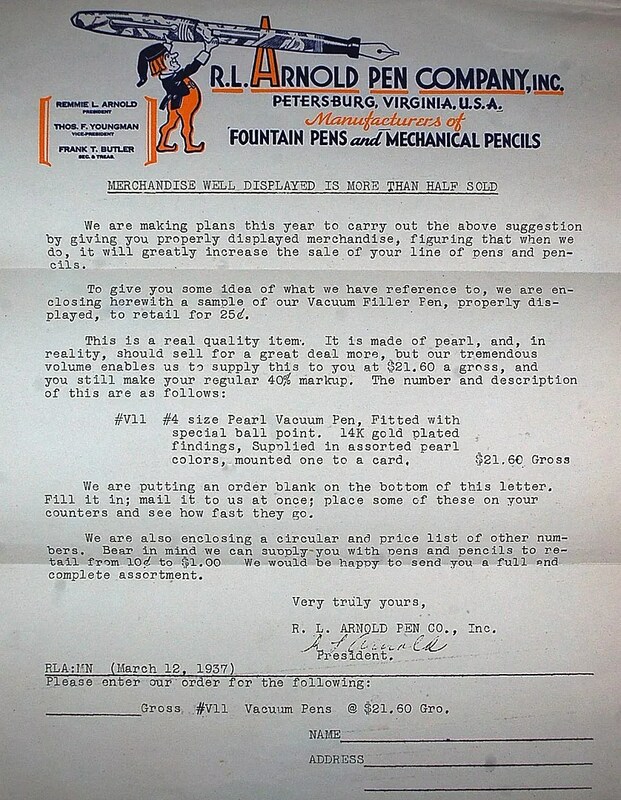 Arnold pens were produced in large quantities for many years in Petersburg, Virginia. 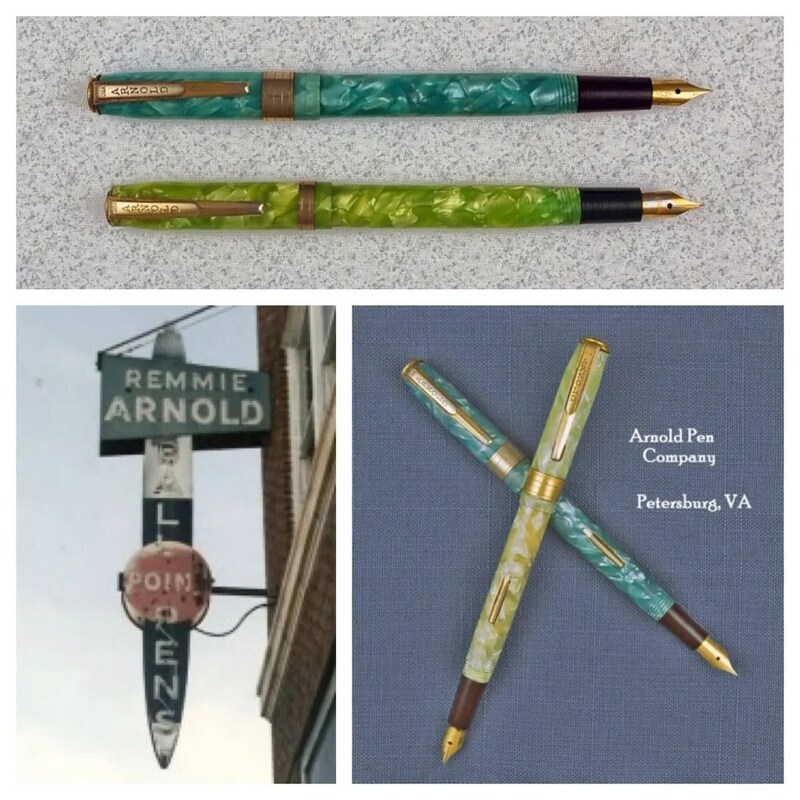 Remmie Arnold started the company in 1935, after working for the Edison Pen Company (see my posts on Artcraft Pens – Ford Cromer, one of the Artcraft Founders, also got his start at Edison!). In the years that followed, Arnold became one of the largest producers of fountain pens in the world. They concentrated in very inexpensive pens (less than $1.00) and were sold primarily in low end stores. As with most third tier pens, there is little to no advertising associated with the pens as well, due to the low price points.. But they did sell lots of them (and eventually ballpoints). Finally, due to the low price points, they were also not built to last, and as mentioned above, most have not survived in good condition. I do have one small piece of Arnold memorabilia – this 1937 letter from Remmie Arnold to a potential customer, touting their products. 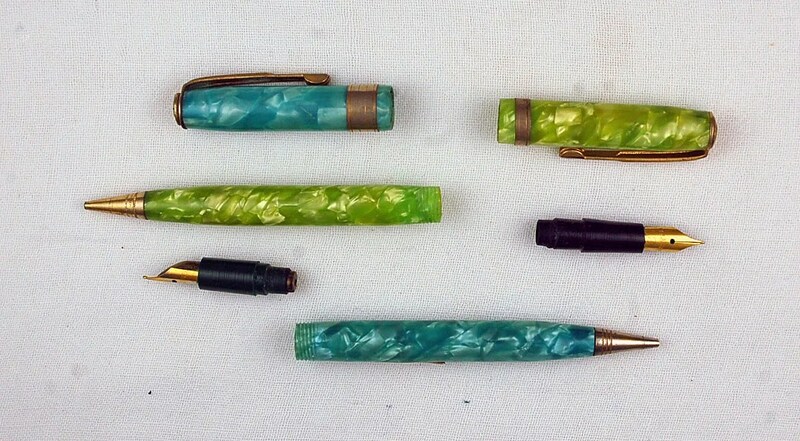 Further information on Arnold Pens can be found at Richard Binder’s Website here and an interesting piece on Remmie Arnold, gathered by Kamakura Pens, can be found here. For anyone interested in getting started in restoring fountain pens, they are excellent pens to start on! They can be acquired for low prices and if you make a mistake along the way, the loss is small. 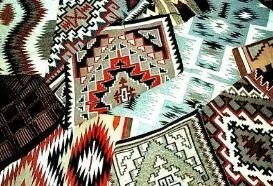 They did make a wide variety of styles over time, both large and small, so one can practice on many different sizes. Most that I have seen are lever fillers and some can be very colorful.